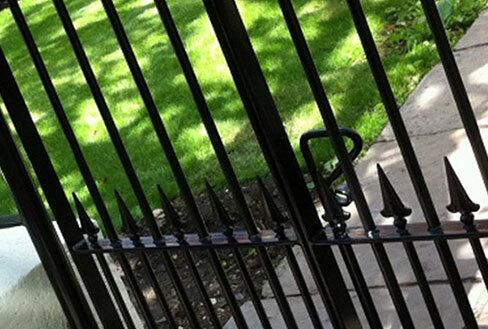 British Spiral & Castings have a broad range of bespoke, made to measure, steel, wrought and cast iron railings, gates and balustrades all individually fabricated in the UK to individual customer specifications. With our knowledge of local conservation areas in the London area, we will be able to offer advice on the type of railing that is in keeping with the area and its history. We also offer a wide range of railing components within our cast iron shop including railing heads, spindles, newel posts, backstays and decorative panels. Our products can easily be fitted by local tradesman, and we do offer a fitting service for our clients in the London area. Railings and gates of all sizes form a substantial part of the British Spirals & Castings order book and to find out more information or request a no obligation quote then please do not hesitate to contact our office in London on 0208 341 5975. All gates from British Spirals & Castings are made to order, and with a complete survey service available to you, they will fit perfectly every time. These can be single, double or any size of gate in either traditional or contemporary designs. 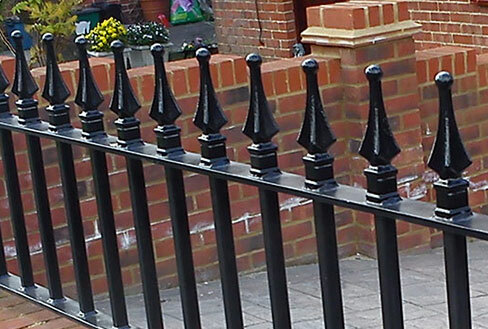 Bespoke and made in Britain to your specific order, there are hundreds of patterns and railing head alternatives for you to consider in both Cast & Wrought Iron for those clients who want something more ornate than traditional railings, or who are restricted by conservation regulations. We will help you to decide which would be most suitable for your property and its surroundings. One of our many specialisms is the renovation and fabrication of bespoke and unique balustrading to existing staircases in the London area. 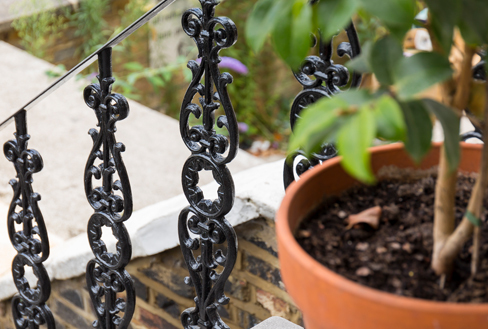 Whether refurbishing existing stairs balustrade or replicating balustrade elsewhere in the property, staircases can be transformed by a skilfully designed, quality made balustrade, with the balusters formed from metal or cast iron. Any hallway can be turned into an exquisite entrance and any dream can be turned into reality.